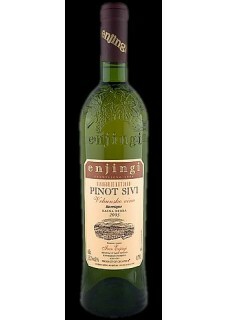 Enjingi's Pinot Gris is a very complex wine with strong and well-balanced aromas. It has a lively yellowish hue, delicate fruit aromas, hints of hay, rich sweet slavonian oak and bouquet in the tertiary state. On the palate it is meaty, wide and round with well balanced acidity. High alcohol is blended well with the rest of the composition. The aftertaste reveals strong and delicious honey notes, good structure that perfectly complement the pleasant bitterness at the end of the sip. Food pairing: Poultry, oily fish and cheeses. Wines of the Enjingi family are traditionally miraculous. Nothing has changed their winemaking philosophy, neither history nor social and political climate in which they were made. Winemaking has always been tempted by unpredictable nature, but hard working and experienced people learned how to take advantage of it. Through the years they have established an authentic winemaking tradition. The Enjingi family celebrates 120 years of winemaking. No matter how strongly they follow their own tradition, their success turns to be a modern guide in the whole winegrowing area.